We love because He (God) first loved us. and sent his Son to be the means by which our sins are forgiven. My commandment is this: love one another, just as I love you. Today I want to share the lovely round robin blocks that came home to me from the Heart's Round Robin last year. This heart is by Thalia Holt. I love the beautiful embroidery and all the background embellishments that she added in the white areas! As I finish my blocks for this project, I will continue here lovely little flower motif through several of them! 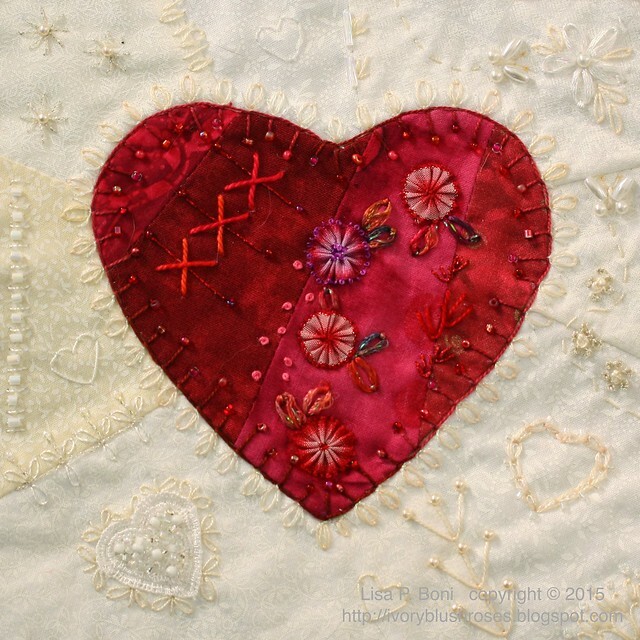 This lovely heart was stitched by Renee Younger. 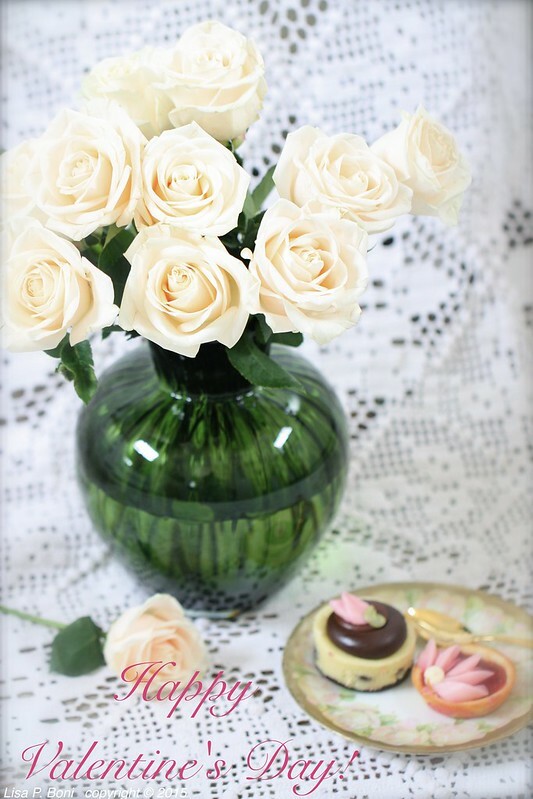 I just love what she did with the little heart beads! She also did some lovely background motifs that I'll use on some of my blocks. 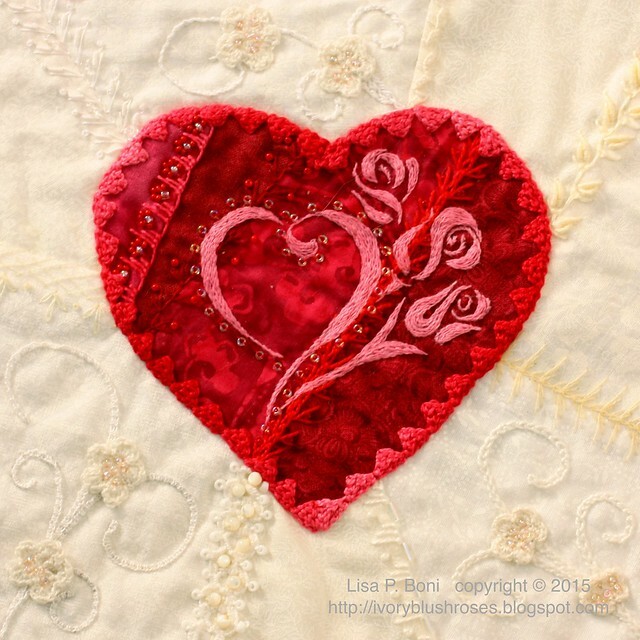 Kathy Semone was the stitcher of this lovely block! 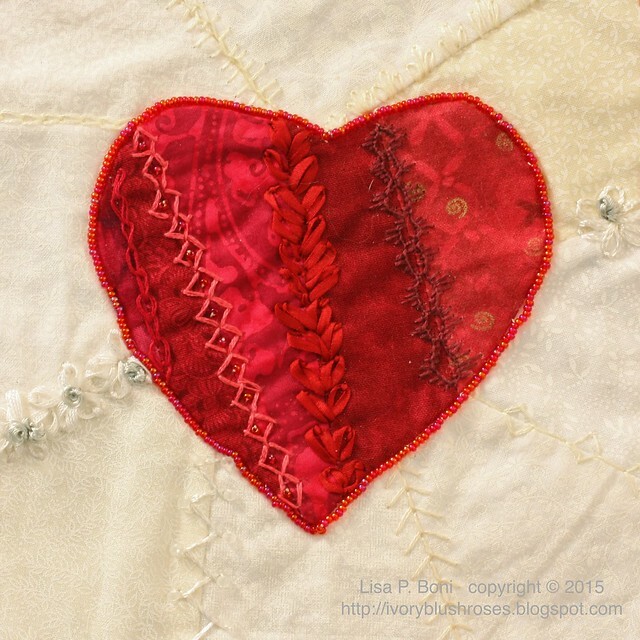 Great scalloped buttonhole seam on the heart! It's one I've added to my book of seams! Alexandra henry stitched this lovely block! I love her seams, especially in the white area! And that tatted lace around the heart! This lovely block comes from Barbara Warner! 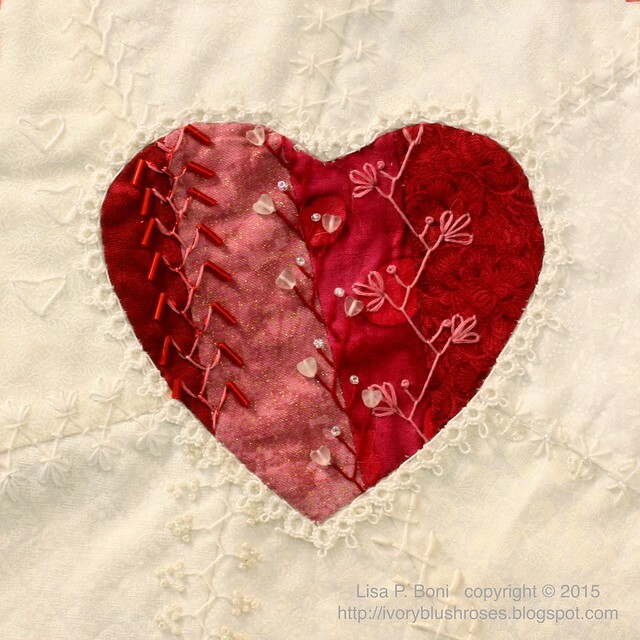 Loving the little ribbon flowers and the stitched white heart on the bottom left! Can't wait to get my blocks finished for this round robin so I can put this wall hanging together! Maybe by next Valentine's Day! 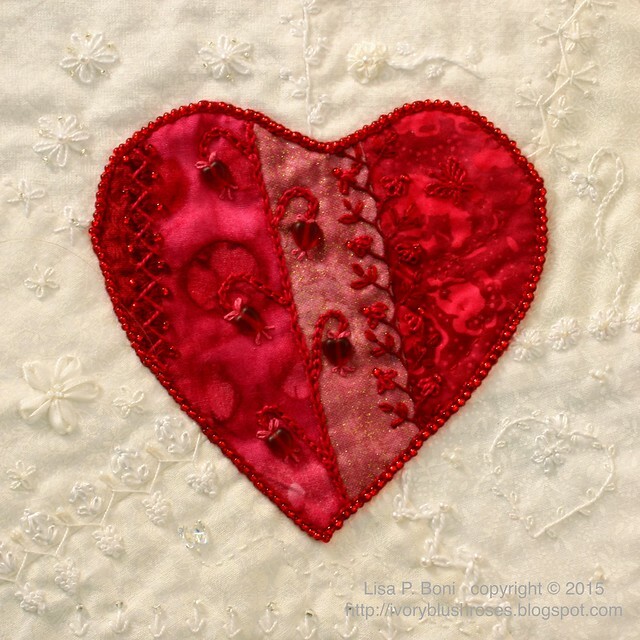 Love these blocks, Lisa... the contrast of the red hearts and white background really sings! These are wonderful! Such beautiful stitchery on each block. Hi Lisa! Thanks for sharing your knowledge about Valentines Day. I have always wondered how it got started. The hearts are beautiful! Blessings! I love these blocks. I think tone on tone stitching is just lovely. Stitchers really appreciate the s kind of textural work. I really want yo get involved in some round robins. Must figure out where to find one.